Earlier this summer, Weatherquest moved to The Enterprise Centre located on the University of East Anglia campus. 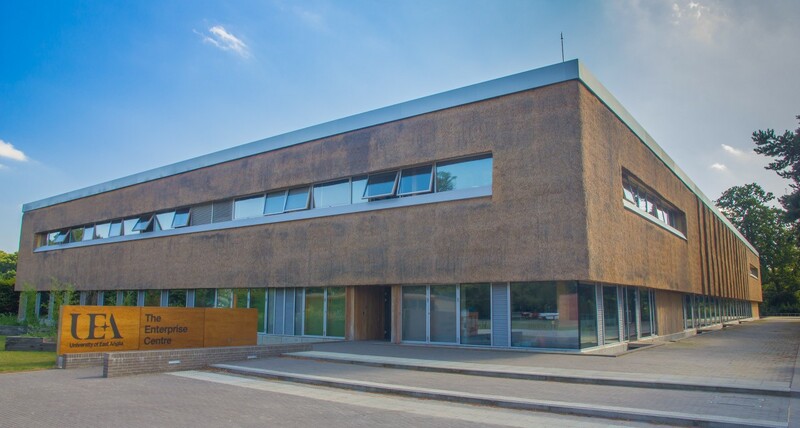 This unique building combines space for teaching as well as commercial offices for businesses, many that operate within the environmental sector. This allows Weatherquest to continue to keep its links with UEA research, while also offering business to business networking opportunities. The Enterprise Centre has already earned the title as Britain's greenest building, and one of the most sustainable buildings in Europe, and garnered several awards. The most recent awards were won this week from the British Council for Offices' (BCO). During their 2016 annual awards ceremony, The Enterprise Centre was named "Best Corporate Workplace" in the UK, and "Best of the Best" from the national winners. We are proud to call The Enterprise Centre our new home - check back soon for pictures of the Weatherquest office, once we've finished the final touches.